An outbreak of listeria forced ice cream maker Blue Bell on Monday to recall of all of its products. The voluntary recall expands upon one begun after Blue Bell ice cream was connected with a listeria outbreak that caused three deaths at a Kansas hospital. The decision to recall all products -- over 8 million gallons of ice cream across 23 states -- was reached after FDA inspectors found contamination in two tubs of chocolate chip cookie dough. "At this point," CEO Paul Kruse said in Monday's statement, "we cannot say with certainty how listeria was introduced to our facilities and so we have taken this unprecedented step." According to the CDC, 10 cases of listeria have been identified related to this outbreak, spread across Arizona, Texas, Kansas and Oklahoma and ranging back as far as 2010. The CDC is able to identify the source of past illnesses by reviewing databases for genetic "fingerprints" of bacteria associated with past cases. Since investigators have found evidence of the same strain of listeria in cases up to five years old, it indicates persistent contamination at Blue Bell plants. 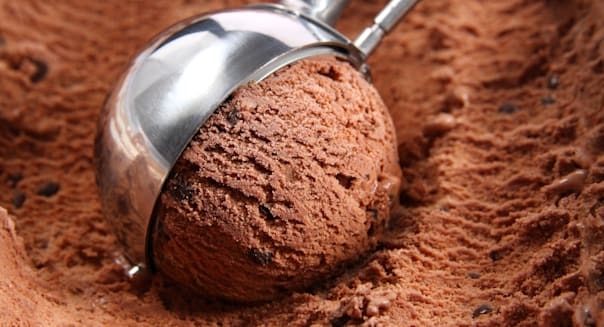 Calling listeria "one of the more deadly pathogens," Christopher Waldrop, director of food policy for the Consumer Federation of America, said that a product recall for ice cream is relatively unusual. "For most pathogens, when you freeze the food it substantially lowers the growth of the pathogen," he said. "For example if you have chicken or ground beef that happens to have pathogens in it and you freeze it, that really slows or stops the growth of the pathogens while they're in the freezer." But with listeria, he said, that doesn't happen. Unlike other food-borne contaminants like E. coli or salmonella, listeria can continue to thrive and reproduce even in freezing temperatures. This makes it unusually well suited for transfer in ice cream, which is otherwise a generally poor vector for food-borne contamination. Consumers looking to avoid this bacteria should cook food thoroughly, clean all surfaces, separate prepared from uncooked food and keep leftovers properly refrigerated (to at least slow the growth of listeria and prevent other bacteria). In particular, he said, refrigerators should be periodically cleaned. Listeria can linger for a long time on even inorganic surfaces, so if a little bit gets into your refrigerator it can continue to contaminate exposed food over and over again. Certain foods also require more caution than others. Avoid any dairy products made with unpasteurized milk and take particular care with soft cheeses such as brie and feta. Since this bacteria can spread easily during food preparation, including after food has been cooked, it has also been linked to such diverse products as deli meat, hot dogs and produce. Listeria is particularly dangerous to older adults, young children, those with compromised immune systems and pregnant women. The FDA suggests that vulnerable populations should take particular care about prepared foods. Deli meats and hot dogs, for example, should only be eaten if they're hot enough to steam (as cooking will kill the bacteria), and produce should be washed thoroughly in order to clean off any surface contamination. Unfortunately there's not much consumers can do to shop "around" a listeria outbreak in packaged foods. While for the time being shoppers can avoid any Blue Bell products left on the shelf, there's no obvious tell for what products can and can't be infected. Contamination vectors range widely, from the Sabra Dipping Co. recall of 30,000 cases of hummus earlier this year to last December's listeria-related deaths stemming from pre-packaged caramel apples. The deadliest outbreak came in 2011, when contaminated cantaloupes led to 33 deaths nationwide. "It's hard, because you do have to rely on the news media and government agencies and the company itself getting out the word that products have been recalled," Waldrop said, "So you have to be alert and aware of that and what's going on. Consumers do need to be paying attention to those types of things." The best resource for known food defects is FoodSafety.gov, which publishes up to date announcements on product recalls -- whether or not they make the headlines. That said, a good rule of thumb is to avoid buying unsealed or prepared foods from any store that seems less than meticulous about its cleanliness. Listeria can spread easily in unsanitary conditions and thrives on the surface of many types of foods. If a grocer or deli is careless about sanitation, listeria can find its way into most products. Even fruits with rinds can become contaminated if the bacteria is introduced when cutting the product open. As common with a recall, consumers who purchased Blue Bell products are entitled to a full refund from their place of purchase. Although listeria is rarely dangerous to healthy adults, who often may not even be aware they were exposed to infection, it can cause serious illness in vulnerable populations. Anyone who thinks he may have contracted an infection should contact his doctor or hospital immediately. Listeria causes about 1,600 illnesses per year in the United States so the odds of infection are small, but real. Common symptoms of infection are fever, muscle aches, diarrhea and gastrointestinal distress. Consumers who have a confirmed case of listeria associated with Blue Bell products should consult an attorney, as they may have enforceable rights to compensation for medical bills. Don't reach for the phone book too quickly, however, as that "may" comes with a whole lot of caveats, especially in the wake of a publicly announced recall. Can the Company Bounce Back? One of the biggest questions in the wake of a major product recall is whether the company can ever bounce back. Some large firms have survived, such as in the case of the General Motors well-publicized ignition switch flaw, but a major event impacting every product is a challenge. "We've seen companies move past it, and we've seen companies go out of business," Waldrop said. "It takes a lot of hard work and they have to regain consumer trust to some extent. There's clearly an economic hit to the business for sure, but companies can get over that and move past that.The reputational hit is really hard." Historically the results have been mixed. Companies like Sunland, a peanut butter processor, and Westland/Hallmark Meat both went out of business after major product recalls linked to bacterial infections, while toymaker Mattel survived pulling over 21 million toys off the shelves. As far as Blue Bell's chances, history should give ice cream lovers reason for concern. A 2014 Harris poll on the subject found that 55 percent of U.S. adults would only temporarily switch to another brand, returning once they felt that their preferred brand was safe. A full 33 percent said that they would never again by a product made by that brand, even after it was deemed safe again, and research published by the business security firm Tyco seems to back that up. In 2010 several companies issued major spinach and peanut recalls after discovering contamination of their products. Within two years those companies had only regained three quarters of their original customers. For many companies, a 25 percent hit to their customer base is the kiss of death. That's not to say it's impossible, however. Fast food giant Jack in the Box survived an E. coli outbreak at its restaurants that dominated the news, in part based on its strong brand loyalty and in part based on its aggressive response to the issue. That response, Waldrop said, is critical. Consumers have to see a very transparent, effective process to ensure that nothing goes wrong again. A company can survive pulling all of its products off the shelf. It just isn't easy.